It's a wave based mode that throws progressively tougher Djinn at you. There are eight rounds in total. 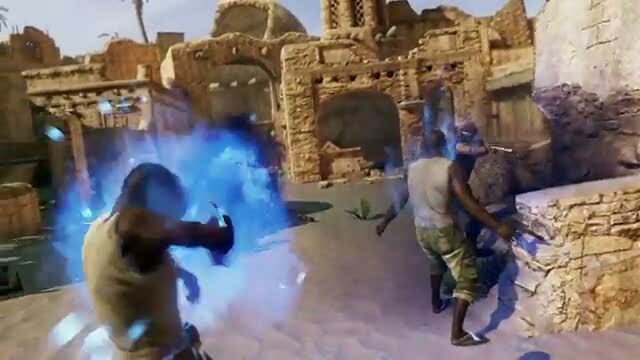 "The Djinn's ability to catch fire and teleport poses a formidable challenge to team strategy and coordination, and later rounds include highly skilled Djinn sporting extra armour and firepower, so get ready for a hearty battle," Naughty Dog community strategist Eric Monacelli said. Objectives, including Marked Man (a certain Djinn will be marked and heavily protected by bodyguards), come into play during a match. You can earn loads of in-game cash playing co-op, thus levelling you up more quickly. Expect new medals, too. On its own, Shade Survival mode costs $5.99, but if you're a Fortune Hunters Club member you can download it for free. Meanwhile, Naughty Dog teased the next - and final - Uncharted DLC, due out in April.